Its not often I insist on anything really, but after listening to a full life I insisted that Mrs W listened to it. And she did. And she was inspired to write her own review (more of which later on). Because I had to listen to this one twice, and on second listening the impact was even greater. 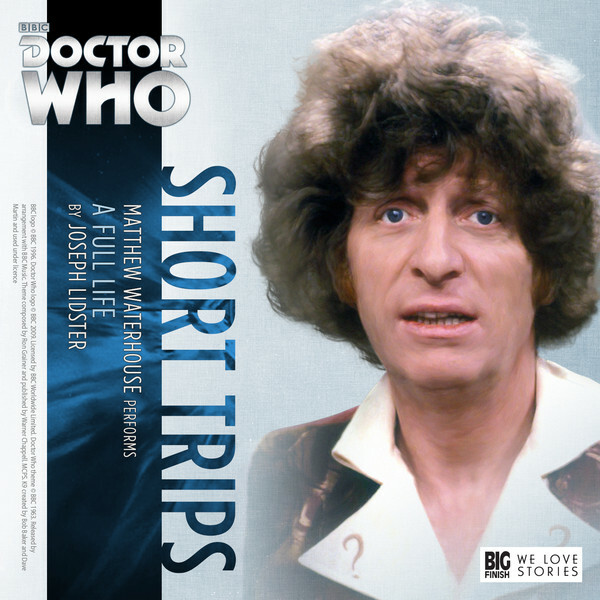 I was even tempted to write a one word review, just one word “Exceptional” because that is what A Full Life is – truly an exceptional piece of writing, directing, acting and sound design – I would go as far to say that it is one of THE very best releases from Big Finish. But why? you may ask, please read on…. Adric – I was 10 when Earthshock was broadcast, I cried when Adric died. My little 10 year old self had no idea of the received fan wisdom that Adric was not a companion that you should like so I cried for a long time at a pointless death. But what if Adric got to live a full life, what would he do, who would he become, what would be his legacy and what would be the price, because everything has a price. Set during season 18 Adric tells the tale of the time he, The Doctor and Romana were trying to leave E-Space and came across the planet Veridis – a planet where a scientist has learned to bring the dead back to life, where his grief for his lost granddaughter compelled him to discover how to break the circle of life – and then everyone wanted their loved ones back – so no one died and the population grew and grew until rioting broke out – there is always a price. Told as an audio diary with rewinding, stopping and self editing Matthew Waterhouse is stunning, truly stunning in this production as he reminisces about his time with The Doctor and Romana, remembering things maybe not quite as they happened but with a sense of nostalgia for a past that has long gone – its a very natural performance and utterly believable – the listener is completely drawn in to Adric’s story – you could have heard the proverbial “pin” drop in our house as Mrs W & I listened to it. And then tears, my tears – in 1982 I cried when Adric died – in 2016 I cried when Adric lived and I really will never look at the character in the same way again. “A character much derided, Adric. An annoying, obnoxious teen, we said; but when Earthshock took him away, his loss was truly felt and maybe he wasn’t such an irritant after all. The opportunity for growing up and out of social awkwardness would never be realised. What could Adric have become? What kind of man would experience have given us? The beautiful and heartbreaking ‘A Full Life’ addresses this. Circumstances, (no spoilers), allow Adric to bypass his Earthshock fate and lead the life un-lived. It offers us the chance to see Adric develop, through initial grief and loneliness, into a wise, brave and splendid adult, deserving of happiness, companionship and what is revealed to be ‘a full life’. Matthew Waterhouse has truly never been better. His voice had developed a richness and maturity which adds, so brilliantly, to the tone if this excellent piece. He suggests the attitudes of the Doctor and Romana so well and brings each character, no matter how minor, to life. Hats off to him. He has developed into such a fine actor, as fine as the adult Adric became. Joe Lidster – a script of pure excellence. Rarely have I been so moved. Your words and vision for the Adric that could have been, were truly beautiful. A Full Life is a masterpiece pure and simple, no scores for this one just my insistence that you go and spend £2.99 of your hard earned money on this gem right away.